Seeing is Believing: Women Direct highlights how mentorship and leadership by female storytellers is essential to encourage and cultivate the next generation of female directors. Featured in INDIEWIRE as PROJECT OF THE DAY and a winner of the AWESOME WITHOUT BORDERS GRANT, the 84 minute version of the film premiered at the 2018 Heartland International Film Festival. We are now partnering with TuggEDU to bring Seeing is Believing: Women Direct to your school, organization, institution, or library! My name is Cady McClain. I am the director of this filmed series about women who direct film TV, web series, commercials, music videos, video art and more! I share all kinds of articles and interesting interviews on this page. Thank you for joining the conversation! Here's a great opportunity to create the change you want to see in the world. Vote for Women in Film to receive a LA2050 grant that will help them create mentorship opportunities for women from diverse and challenged communities to break into the entertainment business and be successful! WIF is applying in the create category. Thank you so much for taking a moment to help change the world for the better! We are over the moon about sharing our film at the @bozemanfilmfest in Bozeman, Montana in June 8th at 3pm! Hope to see you there!! So excited for this amazing panel of women who all spend time making space for other bodies in the world through their various organizations WHILE they also pursue their own careers! Many thanks to Amanda Quinn Olivar of Curator Magazine for lending the magazine’s support to this event! This lady is frickin amazing! Go Barbara Ann O’Leary! Love this article in the USD Student Media Newspaper! 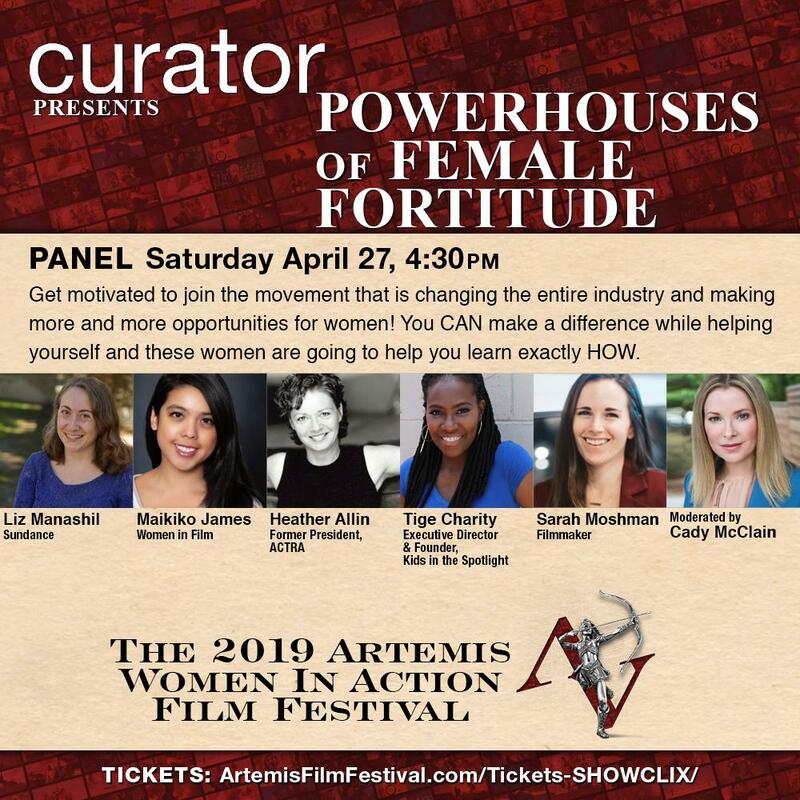 "In Hollywood a woman’s voice can be a powerful tool, as it’s initially her key to unlock and transform the social and political landscapes of the entertainment business. 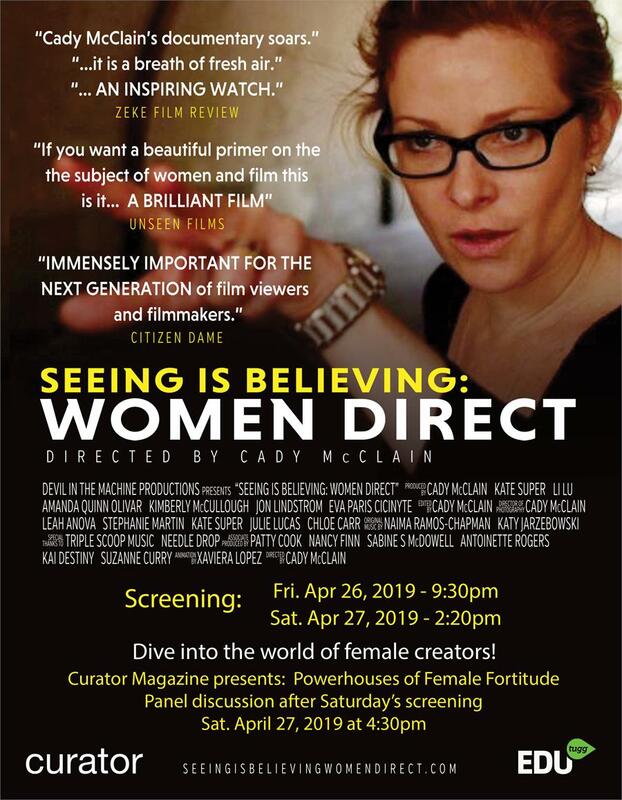 In an industry dominated by men, Emmy Award winning actress, director, producer, and writer of “Seeing Is Believing: Women Direct,” Cady McClain strives to empower women. In pursuit of achieving full equality, McClain whole-heartedly encourages women to use their voices through media."